Buffalo-NiagaraGardening.com > Garden tips > What does this mild autumn weather mean for Western New York gardens? 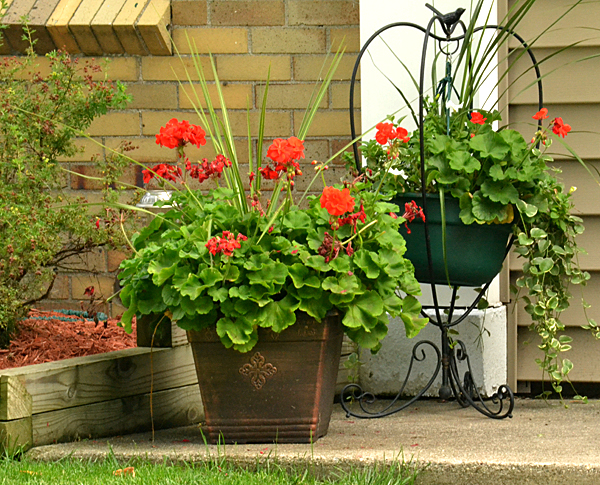 What does this mild autumn weather mean for Western New York gardens? What’s up with this warm weather in Western New York? We can’t predict these things with 100 percent accuracy, but because of El Niño, it looks like we are going to have a mild autumn and early winter, said John Farfaglia, extension educator with Cornell Cooperative Extension in Niagara County. Our winter may not be as cold as the two previous winters have been, “which would be nice for a change,” he added. We may not get as much snow, either, Farfaglia said. If the air is warmer, some of our precipitation may come in the form of rain rather than snow. However, Farfaglia said he was speaking in general terms. We can still get some heavy snow and we could have some days that are very cold. This kind of winter has its advantages and disadvantages. 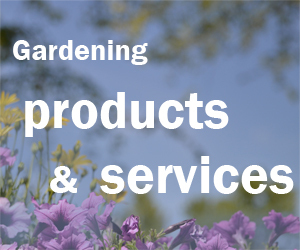 There are things you can do in your garden now as well as things you shouldn’t do just yet. Let’s take a look at what this means for Western New York gardeners. Many annual flowers are still colorful and should continue to do well until the first frost, Farfaglia said. Keep them watered. This map from Cornell University shows when you can expect your first frost. So far I haven’t heard of anywhere in Western New York having frost this year. If you know of any areas that have had frost, please let us know by leaving a comment. Tomatoes, peppers and other vegetables are still coming in, Farfaglia noted. They can keep producing until frost. “Leafy greens such as Swiss chard and kale are loving this weather,” he said. They and other cool-weather vegetables such as broccoli like it a little cooler. They like this weather better than the hot temperatures we get in the middle of summer. Farmers will have an extended harvesting season, too, he noted, so look for apples and fresh fruit in general coming into local markets. The milder weather means we can extend the planting season, Farfaglia said. You should be able to plant perennials the rest of the month, and you can probably find some good deals on plants, he noted. Evergreens should be planted in the early part of this month, but you can confidently plant deciduous trees and shrubs longer. Garlic can be planted the whole month. And don’t forget that if you want spring flowers, now is the time to plant the bulbs. “This might be the year to try some of the more marginal plants,” Farfaglia said. If you’re in Zone 5 and there’s a plant you’d like that is really for the warmer Zone 6, maybe this is the year to try it. See what garden zone you’re in here. The plant for a warmer zone might do well in your yard, especially if you have it in a well protected space such as a courtyard, near an evergreen hedge or some other area that has a microclimate that’s a little bit warmer than the rest of your landscape, he said. Mulch the perennial well, too. “This is the type of year you could experiment a little bit,” Farfaglia said. But that doesn’t mean you don’t have to protect your plants this year, he warned. Whatever steps you normally take for winter protection should be done this year, too. 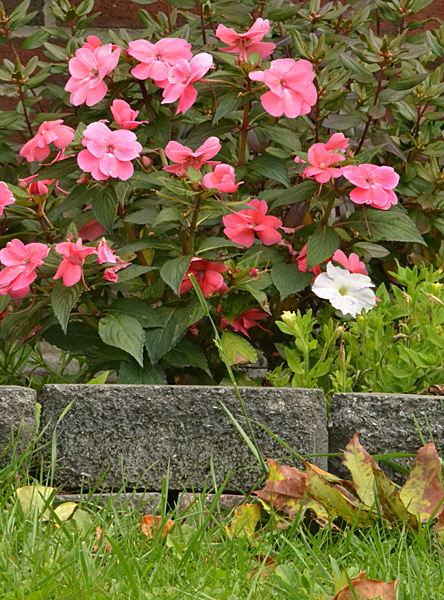 Read more in the section on winterizing your garden. Frost slows down the growth of grass, Farfaglia said. With this warmer weather, people might want to mow their lawn. I can attest to that. My lawn is still going strong and is frankly looking a little shaggy. I don’t mind; it’s one more gardening task that can get us outside in the fall. The snow cover acts as an insulator, protecting the roots of plants from drying winds and swings in temperature that might force the plants to heave out of the ground. In the winter of 2012-13, we had wild swings in temperature. One week it was in the single digits Fahrenheit; the next week it was in the 50s or 60s. You never know– We could get periods of weather like that again. You should winterize, but not quite yet. Plants need to acclimate to the change in temperature on their own schedule. If you protect them too soon, for example, by heavily mulching around the plant, the soil may stay too warm, he said. 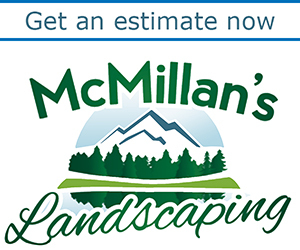 He’s not referring to decorative mulching that you may have already done to make your garden beds look neat. He’s referring to a thick layer of wood chips, pine needles or leaves that you add around a plant to protect the roots from drying winds and prevent heaving. Don’t mulch heavily until we’ve gotten a frost or two, he said. Some plants that might need extra winter protection are broadleaf evergreens (evergreens without needles), such as rhododendron, holly and boxwood. They are more prone to losing moisture and getting windburned, he said. You can protect them by wrapping them in burlap, but wait until at least November, he said. Another method is spraying them with an anti-transpirant product that leaves a waxlike layer on the leaves. One brand name is Wilt-Pruf. The harder the winter, the more pressure there is for deer and rabbits to feed on your landscape in search of food. Last year, Farfaglia said, he got many reports of rabbit and deer damage. Some people had wrapped the lower several feet of the trunks of young trees to prevent rabbits from gnawing on the bark, but the snow was so deep that the rabbits simply walked over the top of the snow drifts and nibbled higher up. “Unfortunately, that does as much damage,” he said. Trees haven’t dropped their leaves much yet; there tends to be a lot of shedding of leaves after a hard frost, Farfaglia said. Remember to save the leaves to use as mulch or to add to your compost pile. Just started the fall cleanup, but so many flowers are still in bloom. I do like the snow cover to insulate plants though. Would not mind a bit of snow this winter. I live in Colden just outside South Wales and the last couple of years we didn’t have first frost till Halloween or later. We’re on a hill so I think that and the near constant breezes delay the frost for us. Let’s hope the mild weather continues into the winter!